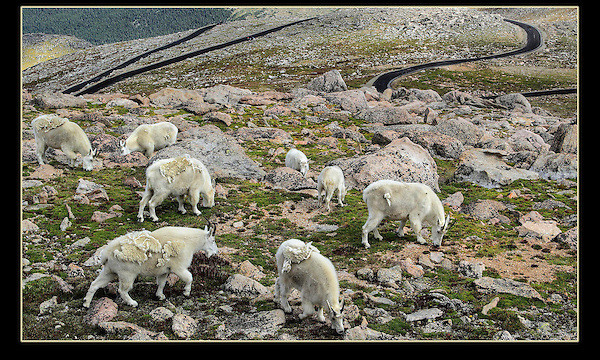 Mountain Goats graze next to the Mount Evans road, near Denver. Mt Evans wildlife tours. Colorado tours year-round. Colorado tours by Outside Imagery.